Adventures of Superman #500, CGC 9.2; Collector's Edition, signed Jerry Ordway!! 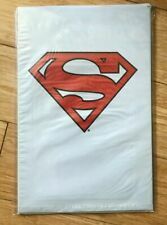 Adventures of Superman #500 [Collector's Set] Jun 1993 DC Comics WHITE BAG! 9 product ratings - Adventures of Superman #500 [Collector's Set] Jun 1993 DC Comics WHITE BAG! This page was last updated: 19-Apr 08:29. Number of bids and bid amounts may be slightly out of date. See each listing for international shipping options and costs.